Vivaldi Music Academy offers the best Piano lessons in Houston with a comprehensive curriculum and top-of-the line Steinway pianos. Beginner students start with the fundamentals, such as learning the names of the keys, reading music and progressing from one hand to two hand songs. More experienced students continue to progress with advanced technique instruction and exercises, especially through significant repertoire. Whether you want to learn Alicia Keys or Bach, our piano faculty have warm personalities and can help you incorporate your favorite songs into your lessons. 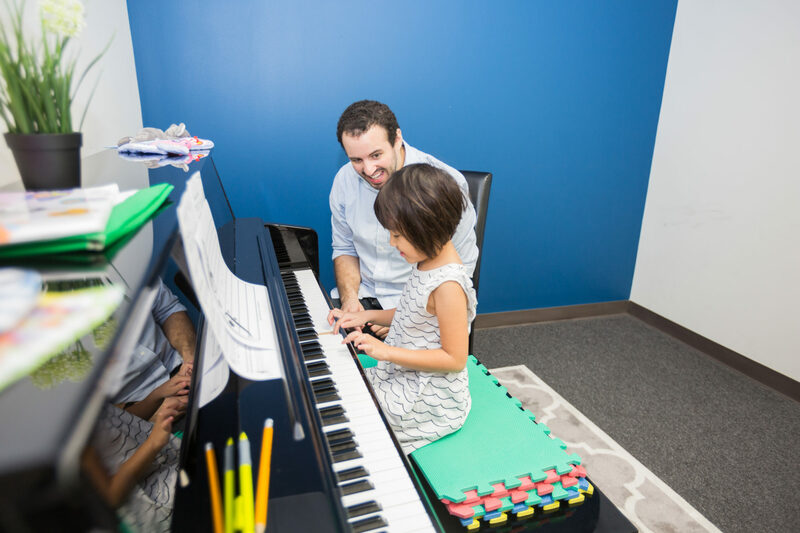 Our piano lessons provide a comprehensive music education that includes theory, ear training, sight reading, technique, and history. A family of stringed instruments with a keyboard evolved in Europe in the 14th century including the harpsichord. It was, however, limited to one, unvarying volume. Its softness and loudness could not be varied while playing. The artistic desire for more controlled expression led directly to the invention of the piano, on which the artist could alter the loudness and tone with the force of one’s fingers. The story of the piano really begins in Padua, Italy in 1709, in the shop of a harpsichord maker named Bartolomeo di Francesco Cristofori (1655-1731). First exhibited in Florence in 1709, Cristofori’s new instrument was named gravicembalo col piano e forte (roughly “soft and loud keyboard instrument”). Eventually, it was shortened to fortepiano or pianoforte, and finally just piano. The piano is used in a variety of genres of music and famous pianists include Mozart, Lang Lang, Alicia Keys, Stevie Wonder, and many more.